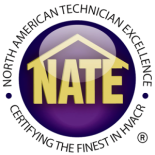 When you need air conditioning repair service for your Denver-area home, Premier Heating and Air has NATE certified technicians that are ready to get to work. Our technicians continue their training in air conditioning repair service so they are always up-to-date on the latest systems while staying knowledgeable about older systems that need repair work, too. That way no matter what the air conditioning repair service requires, our Denver technicians have the knowledge to get the job done and do it right the first time. We offer a 100% satisfaction guarantee on all of the home air conditioning repair work we do. If you aren’t happy with our repair work, we’ll make it right. All the work that we do is done at a competitive rate, so you don’t have to worry about paying too much for home air conditioning repair in your Denver-area home. 24 hour emergency air conditioning repair services mean you don’t have to go without air when you need it most. Call our team day or night! An unexpected increase in your energy bill. Warm spots in your home that your system can’t seem to cool. Strange noises when your system turns on. Strange odors when your system is running or when it first starts up. All of these are signs that your system isn’t working correctly, and you are probably paying too much each month on your energy bill. Our air conditioning repair service team will help get your system back on track and working at optimal efficiency! Contact our team today and schedule your air conditioning repair service in Denver!